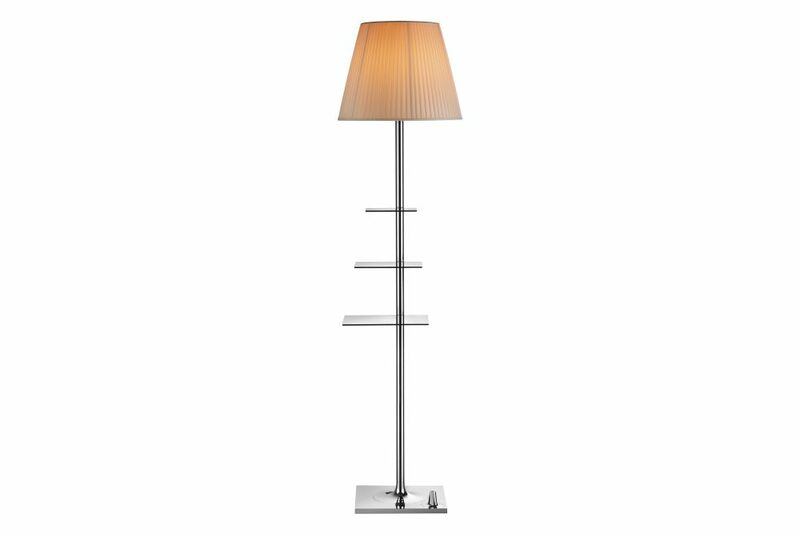 The Bibliotheque Nationale Floor Lamp is also perfect as a bookshelf, with stainless steel shelves attached to the sides of its central stem. Without sacrificing formal rigour and simplicity, which are constant features in Philippe Starck’s work, this lamp perfectly expresses the tastes and needs of everyday lives comprising multi-function, dynamic objects. More than only being a lamp, Biblioteque Nationale is also perfect as a bookshelf with its stainless steel shelves placed beside the central stem.